Git is the most widely used modern version control system in the world today, which allows multiple persons to safely work on the same project without hampering other team members. As a part of a team using Git, You and your team members will clone working copy of a local repository from Git server. 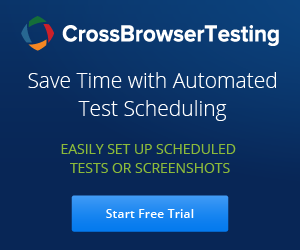 You/team will add and commit the test scripts that are developed locally and push your changes to the Git. We can make Jenkins to pull the project’s source code from the remote Git Server, by selecting the option in Source code management and specify the path/url can find the source code of the project. 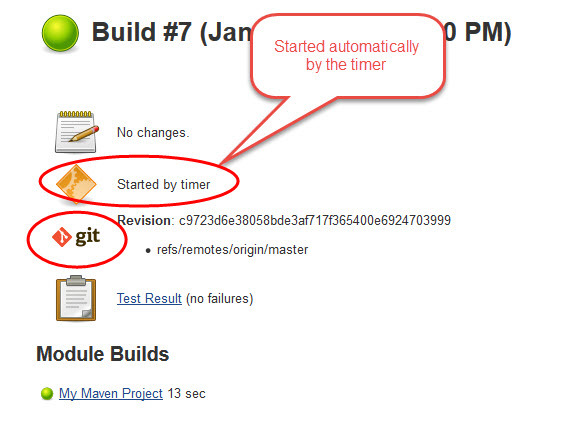 Once Jenkins is restarted, Git option should be available under source code management when configuring job. Step 4:- From Manage Jenkins > Configure System, please provide the right Path to Git executable. Step 3:- In Source Code Management, Select 'Git' option. (This should be visible once you have successfully installed Git Plugin). Step 4:- From Build Triggers, If you want Jenkins to monitor the repository and start a build whenever any changes have been committed, We can choose to pick the Poll SCM option and enter syntax of cron. The other options include Build periodically (for example, once a day, ), Build whenever a SNAPSHOT dependency is built etc. Here "SNAPSHOT" means build is is still under active development. Ex;- If it is easy-1.0-SNAPSHOT.jar library, Maven will know that this version is not stable and is subject to changes. Before 1.0 release (or any other release) is done, there exists a 1.0-SNAPSHOT version. The difference between a "real" easy-1.0 version and a easy-1.0-snapshot version is that snapshots might get updates. That means that downloading 1.0-SNAPSHOT might give you a different code than downloading it yesterday or tomorrow. Builds Periodically will trigger builds as per the schedule (If we specify H/5 * * * *, every 5 minutes) even if you haven't changed anything. Poll SCM will check for changes before triggering any build, if there are changes to the previous version then only the build will be triggered. DAY OF THE WEEK - The day of the week (0–7) where 0 and 7 are Sunday. In addition to the above, Jenkins also support convenient aliases as @yearly, @annually, @monthly, @weekly, @daily, @midnight, and @hourly. Step 5:- In Build Settings, to send an email notifications, you can check 'Email Notification' and add Recipients address separated by comma. Step 6:- In Post Build Actions, You can chose steps such as Archive Artifacts, Publish Results etc. Step 7:- Click on Apply and Save. Now as per configuration above, the build will trigger for every 5 minutes. As we are triggering build for every 5 mins, you can see the jobs running every 5 minutes (shows in the below image). Hope this article helps you. Please let me know if you have any suggestions / issues. What is a Snapshot Dependency? Can you please explain, what a snapshot dependency is?